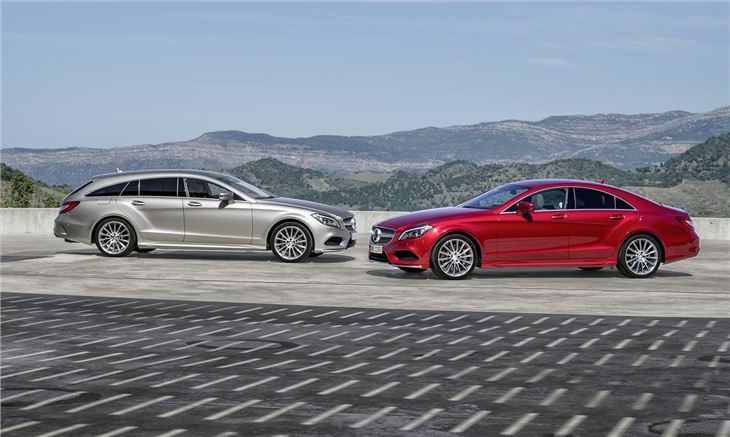 Mercedes-Benz has unveiled the facelift CLS Coupe and Shooting Brake, with new engines, nine-speed gearbox and LED headlights. The revised models will reach UK showrooms in September, with prices expected to start at £46,500. Exterior changes have been kept to a minimum and both the CLS Coupe and Shooting Brake retain their long, swooping lines and diamond grille. However, the front and rear bumpers have been restyled and both models get larger air intakes, which gives the CLS a more aggressive stance on the road. 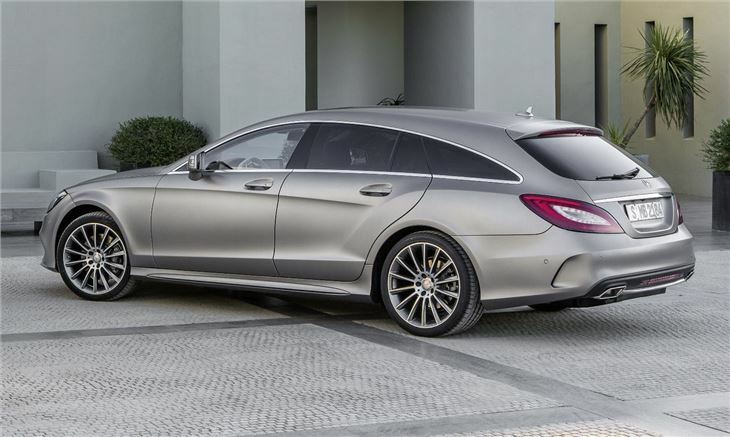 The CLS Coupe and Shooting Brake will be offered with four engines, which will include a four-cylinder diesel in the CLS 220 BlueTec CDI. The new engine produces 170PS and 400Nm of torque and will be joined by the 250 BlueTec CDI, which remains unchanged with 204PS 500Nm of torque. 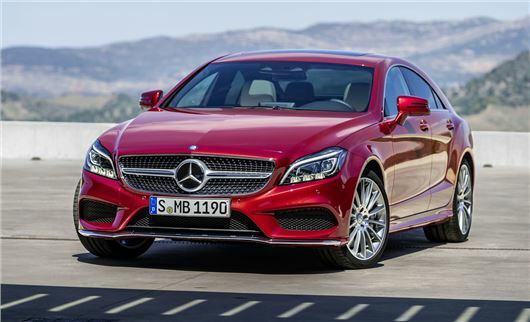 The V6 diesel in the CLS 350 CDI loses 7PS - now 258PS - but will still offer 620Nm of torque. The CLS 350 and its naturally aspirated V6 petrol engine have been replaced with a new turbocharged V6 in the CLS 400, which produces 26PS more with 333PS. Torque is also improved, with the 3.0-litre V6 turbo engine producing 480Nm – 110Nm more than the old V6. The CLS 500 will produce 408PS, with 600Nm of torque. The range topping 5.5-litre V8 biturbo AMG gets more power, with output rising from 557PS to 585PS and 720Nm to 800Nm of torque. A new nine-speed gearbox will be offered with the CLS 220, CLS 250, CLS 350 and CLS 500, while the existing seven-speed ‘box will be stand across the rest of the range. LED daytime running lights will be fitted as standard across the range, but both Coupe and Shooting Brake models will be offered with the option of Multibeam LED headlights, which utilise 24 high-performance LEDs to calculate the ideal light pattern 100 times per second to improve night-time visibility. The LED system can also be paired with the CLS’ dash-mounted camera to anticipate bends and turns the headlights before the steering wheel is moved. The interior of the CLS is largely unaltered, with high quality trim and materials, although the cabin is now dominated by a free-standing eight-inch touchscreen which can be connected to the internet via a compatible mobile phone. In fact, Mercedes-Benz has worked hard to upgrade in-car connectivity, with Bluetooth and HD Voice now fitted as standard. Standard safety kit has also been revised and now all models are fitted with Collision Prevention Assist Plus, which automatically applies the brakes when an imminent impact is detected. Order books are now open and deliveries will start in September. 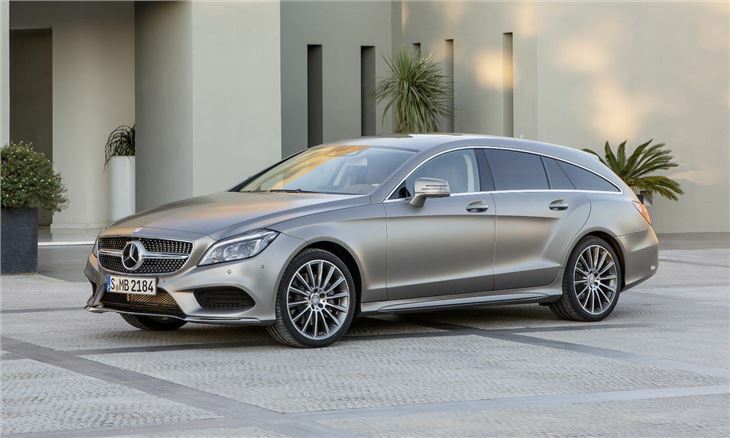 Prices are yet to be confirmed, but expect to pay £46,500 for the entry level CLS 220 BlueTec CDI.